Did you know there was a National Chocolate Day? Did you further know that it’s celebrated today, on July 7? Not only is National Chocolate Day celebrated on July 7, but apparently it’s also celebrated on October 28, December 24 and on September 13 it’s INTERnational Chocolate Day. In other words, you’re gonna need a lot of Kinder Surprise Eggs! Conveniently, our good friends at Kinder Canada will be hosting giveaways all summer long. Don’t forget to check in on the Kinder Canada Facebook page for your chance to win. They’ll also be introducing Free Family Fun Fridays, with ideas and inspiration on fun and free things families can do together. Free family fun and chocolate? How could I resist? In celebration of free and families and chocolate, I’d like to share a coupon for a three pack of Kinder Surprise Eggs in an unofficial giveaway. If you’d like to win, just leave a comment below telling me your favourite way to eat chocolate. In a cake? Chocolate fondue? Triple chocolate cookies? Do you like it melty or hard and cold straight from the fridge? I’ll pick one random winner from all comments posted before noon on Friday July 10. You must leave a valid e-mail address and be willing to privately share your mailing address with me to win. 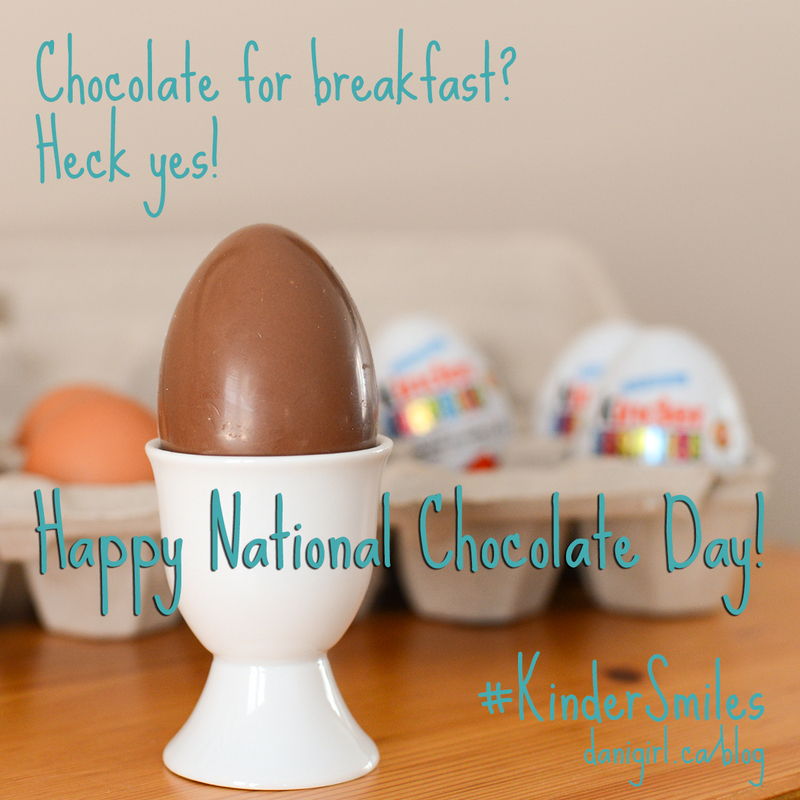 Have fun celebrating National Chocolate Day! 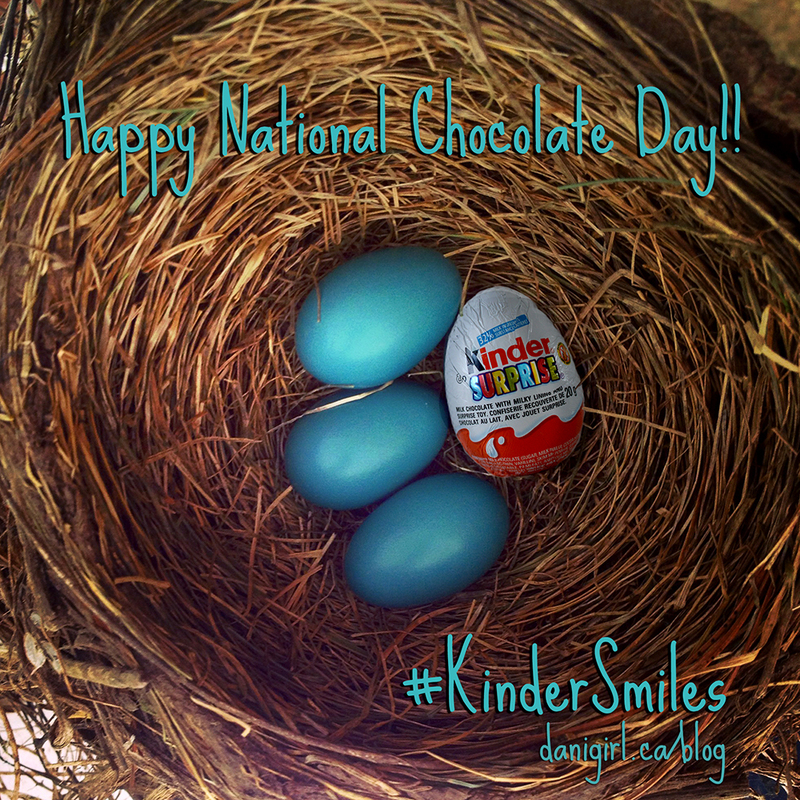 DISCLOSURE: I’m a #KinderMom who is part of the KINDER® Canada influencer team. As part of my affiliation with KINDER® Canada, I am provided with special perks and products. I take responsibility for all opinions, puns and snack recommendations in this post. My favourite way to eat chocolate is to put it in my mouth lol. I do have a preference for dark though. My favourite way to eat chocolate is by the handful in stealth mode when my kids aren’t looking!!! Chocolate chips are great for that… otherwise if I’m taking my time I like a dark chocolate with salt on it! I am very good at chocolate. very very good. I like it in all forms, but have a special weakness for home made chocolate chip cookies. I have a caramel with sea salt chocolate the other day which literally blew my mind.. I need to investigate this chocolate vehicle further! I do love me some chocolate! My favourite way to eat it is paired with either caramel or toffee but I manage to choke it down pretty much any way I can find it. P.S. I think of you every time my kid comes home with a loot bag containing a Kinder egg. Next post: I listened to you and let Lucas play keeper. You won’t believe what happened next!